Look familiar? 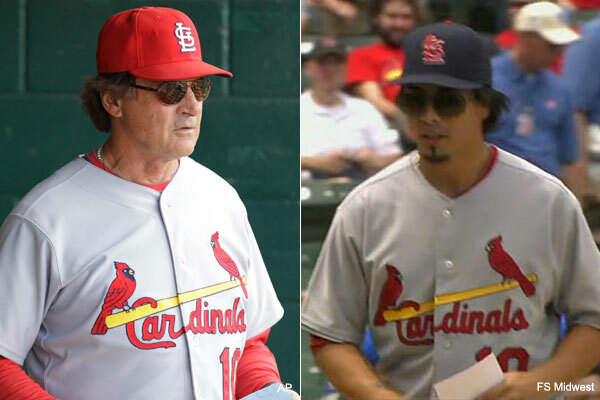 Cardinals starter Kyle Lohse tried to do his best Tony La Russa impersonation when he walked out his team's scorecard prior to Thursday's victory at Wrigley Field. Maybe he just wants to bat higher in the order. Or give Bobby Valentine a run for his money (will never happen). Anyways, I thought this was hilarious.